I am very proud to share you this project I made with my friend Kronos, a Brazilian penmodder (I think he is the best for making gripcut). Thank you Kronos for the time you spent for this project, I hope we’ll make more by the future ! 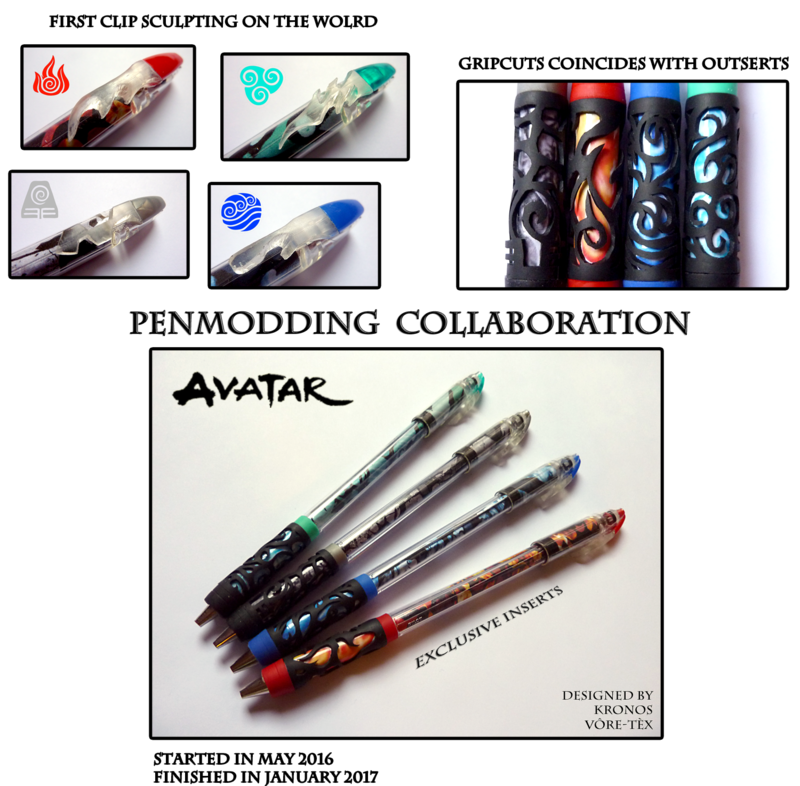 I’ve contacted Kronos by May 2016 for a penmodding collaboration. We thought together the penmods theme and aesthetic. He made the gripcuts, inserts and outserts, and I modded the penmods and discovered the clip sculpting. I’ve been glad to participate to this project. It took many time but finally we succeeded to finished it ! – show to penmodders that it’s important to collaborate with others. Work alone is less benefic than work with another and allow to improve yourself faster. I’m proud about the penmods results and I hope you will enjoy these as much as me. 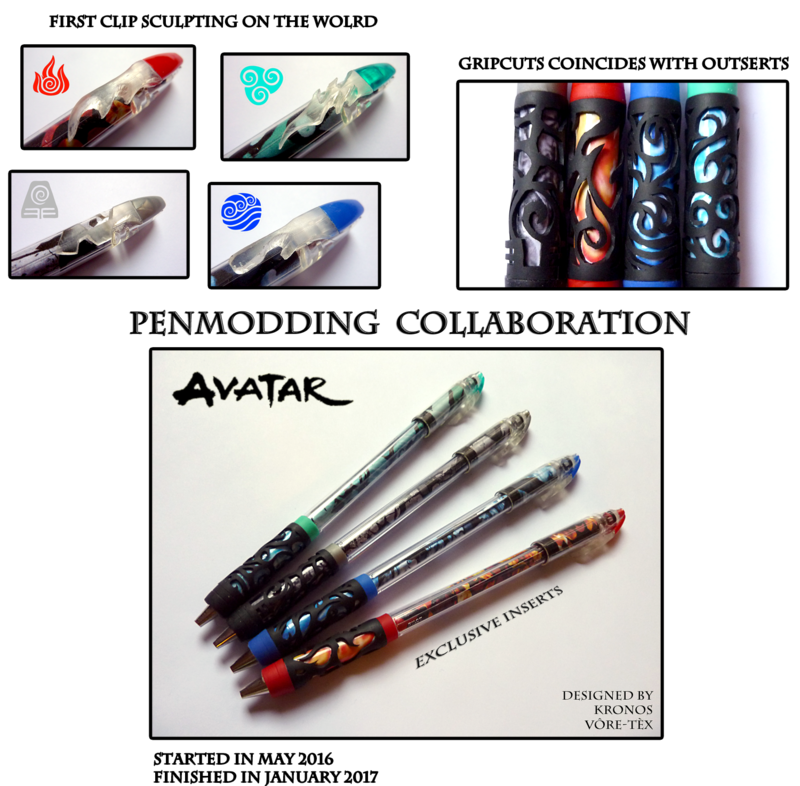 – show to others we can make amazing penmods without using counterfeit. I’m glad to have discovered clip sculpting. Hope it will inspire some of you ! I’m pretty sure we can make better and more complex than mine. You can check the video for more details ! 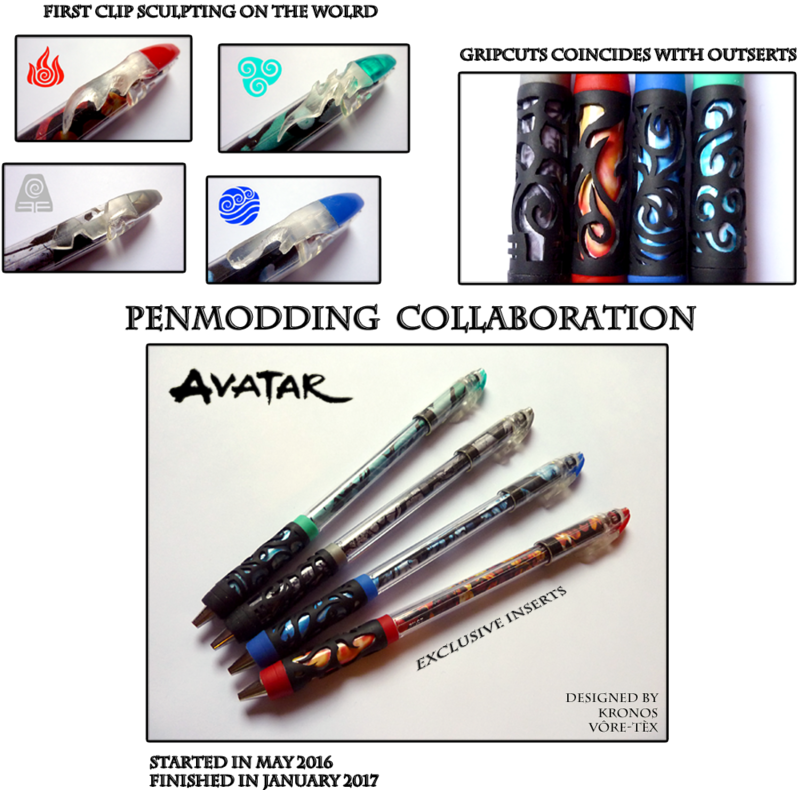 Share the post "PenModding Collaboration – With Kronos, Avatar penmods"